Engaging people in a very delicate “Operation”. Operation Babylift was the airlift that removed more than 2,000 Vietnamese children from their war-torn country to be adopted by American families as Saigon fell in 1975. At the Presidio, 1,500 of these children were cared for by more than 5,400 volunteers. 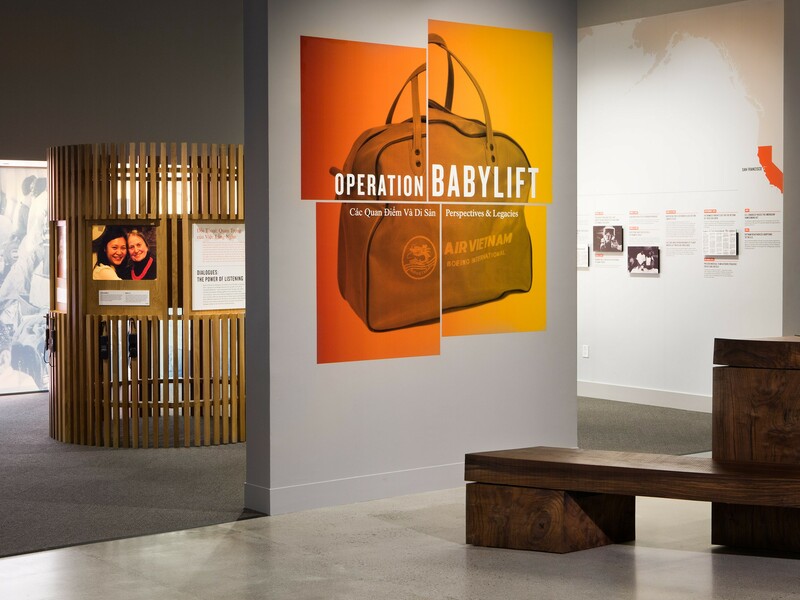 Operation Babylift was heavily debated at the time across the country and the exhibition looks at the controversy as well as its legacy today. Our design showcases the history of the operation in detail, while also allowing visitors to contribute their own thoughts regarding the event 40 years on. Many comments were left on the wall by visitors of all ages and backgrounds—including those who were involved in the airlift directly, whether as adopters, adoptees, or other participants.